At the core, every successful business venture looks like this. 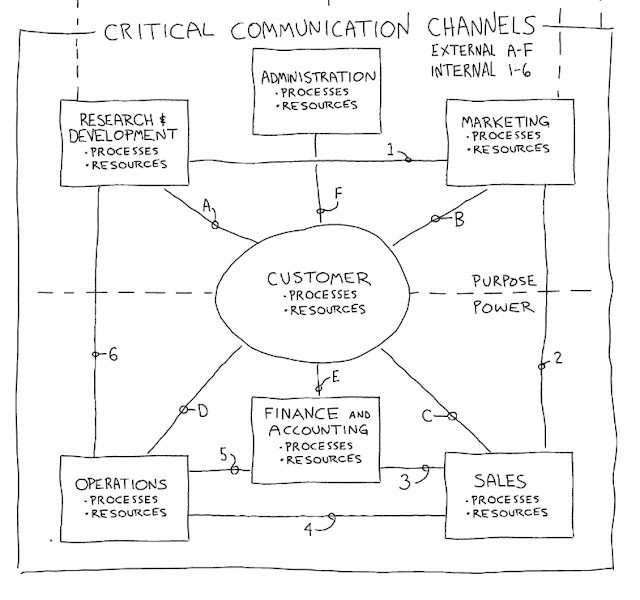 Of course, large complex organizations can look much more complicated than this basic diagram. But fundamentally, all successful business ventures consist of these key elements and have these critical paths of communications. 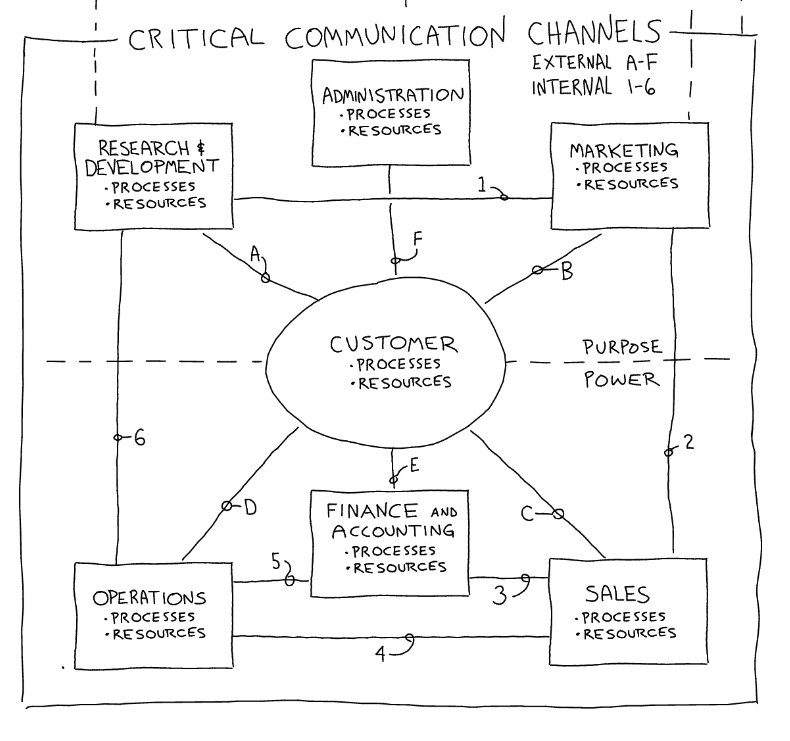 The "numbered" communication channels in Figure 5 are internal, the information being shared between departments in a business venture.